If you read my previous post, you will know that my family, parents and I are on vacation in Maine. 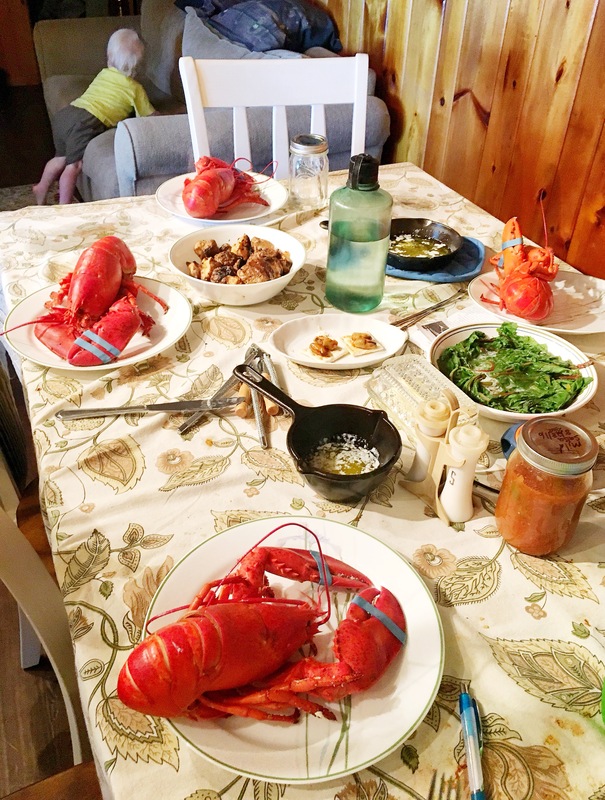 Whenever I come to Maine, the event I look forward to the most is the lobster dinner we make for ourselves. There is literally nothing in the world of seafood, to me, that comes close to the awesomeness of fresh steamed lobster straight from the lobster fisherman. Growing up, when we would come here, the family that owned the cottage where we would stay, also were lobster fisherman. You could go in the morning, say what you wanted, and pick it up in the evening. These days, that lobster fisherman is an elderly man and no longer fishes, but we found Stonington Lobster Co-op to be a great alternative. 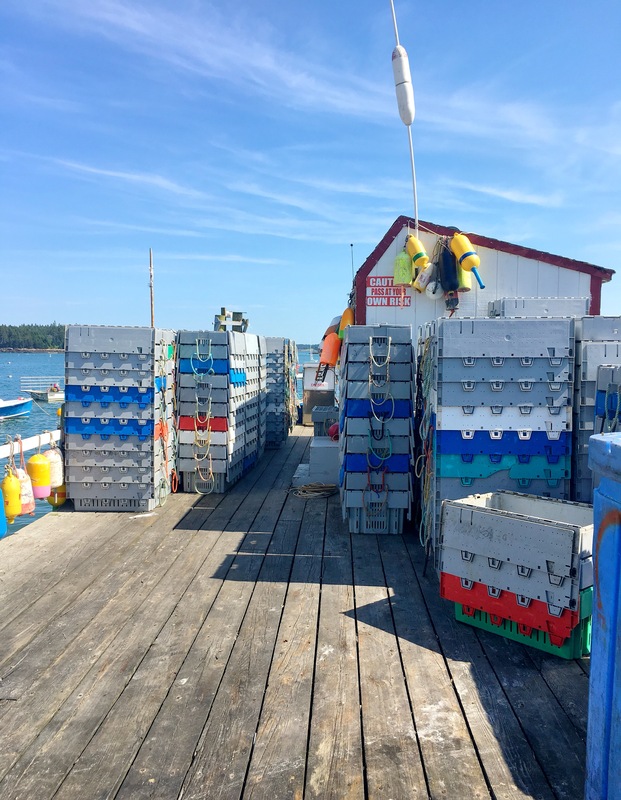 It is as fresh as fresh can be, you go into the office, get a bag or two, walk down to the dock, pick out your lobsters, go back to the office and pay! 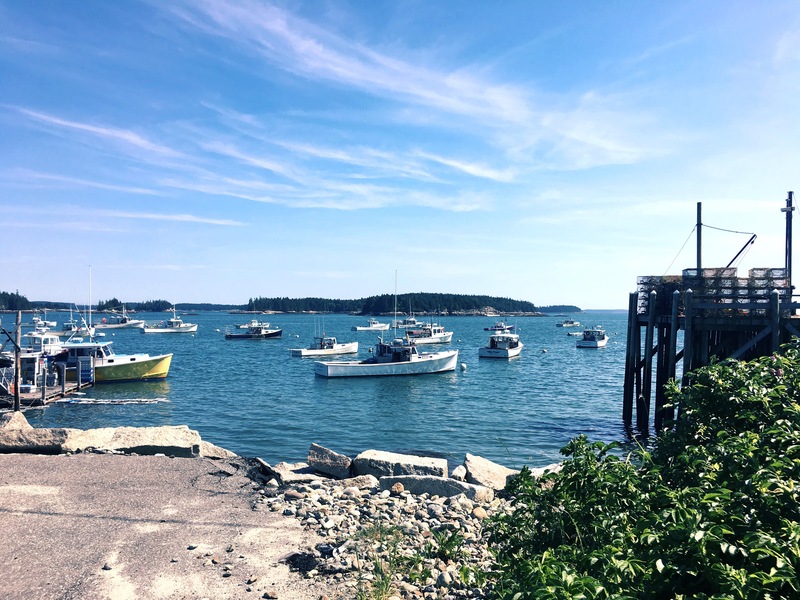 Also, fun fact–lobstermen in Stonington, ME have caught the most lobster out of anywhere in the United States for the past seven years! The lobsterman asked us size and if we wanted soft or hard shell lobsters. Well, we had no idea this was a thing, so we had to ask the difference. 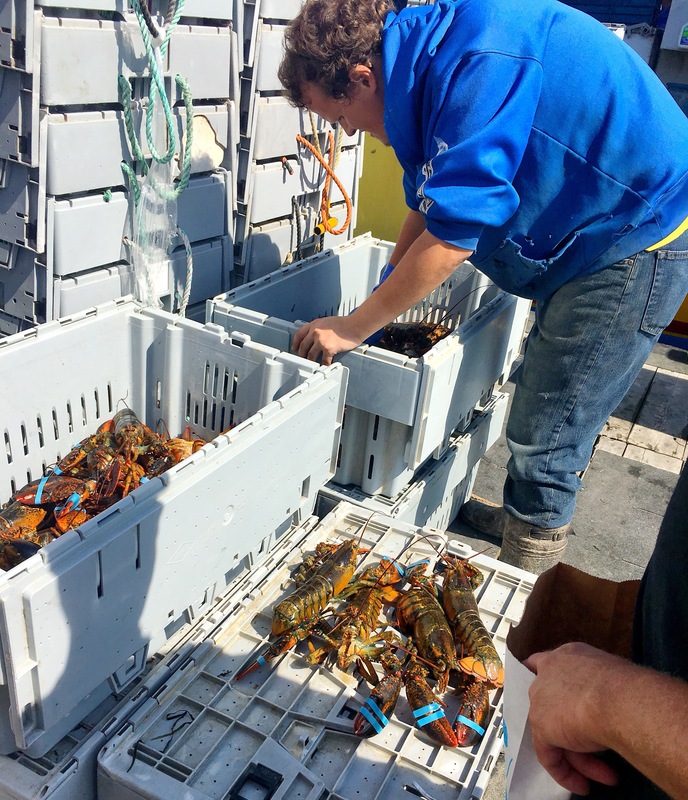 Soft shell lobsters are lobsters that just shed their shells, they are generally smaller and as the lobsterman said, “they taste better and are cheaper”. Hard shell lobsters are still tasty, have more meat and are more expensive. 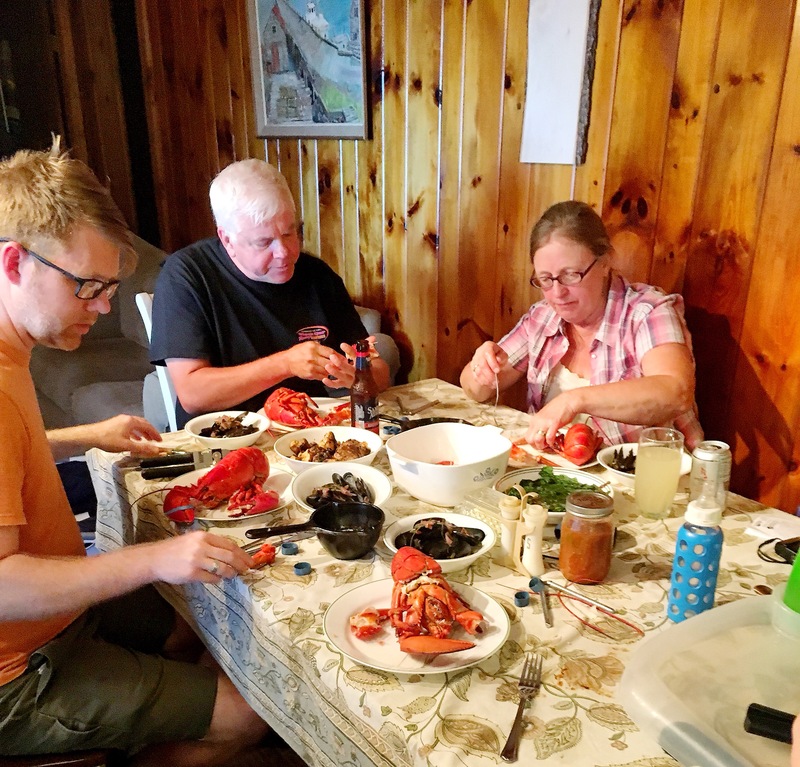 My dad is not one to stray too far from the norm when it comes to lobster, so we got five hard shell lobsters and one soft shell lobster, “just to try”. Growing up we would pick mussels right from the rocks and steam those babies right then and there. This time we are staying on a lake, so no collecting mussels for us. Not to worry, the lady in the co-op recommended a place to get mussels, as well as clams. My dad loves clams and wanted some of them as well. A huge feast was in our future. 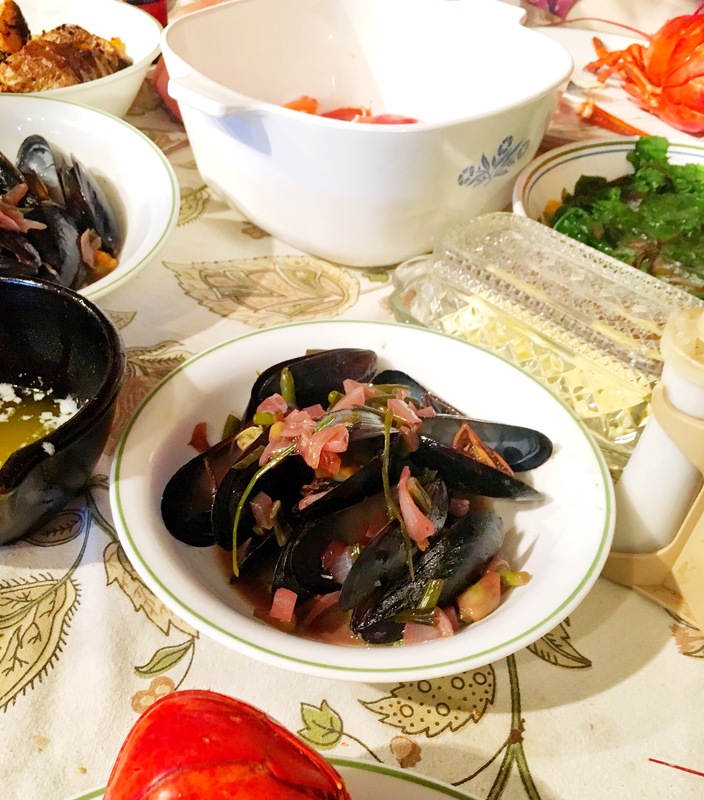 We headed down to the recommended Coldwater Seafood and bought two pounds of mussels, a pound of clams, and a new discovery–smoked mussels! My mom and I went into the store while the boys all stayed in the car and she saw a tray of samples. It was their speciality smoked mussels. Our favorite from the samples was the barbacue smoked. I know this sounds like a crazy combo, but it was so delicious, especially on crackers! 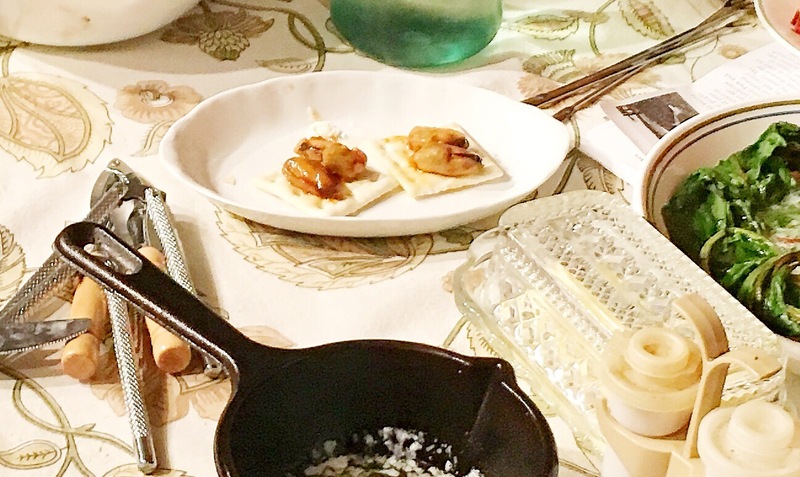 When we got home we immediately started making our decadent, seafood spread. The only thing was, after not being here for many years, we forgot what to do! New England Open House Cookbook to the rescue! This booked helped us greatly with prep and cooking times and we were soon able to sit down to our bountiful dinner. 1. Softshell lobsters-sweeter flavor. My dad still prefers the hardshell ones for it’s stronger “lobstery” taste. I would say I liked the tail better in the tail of the softshell, but the claws better of the hardshell. 2. Steaming lobster takes 17-18 minutes in a large pot with an inch salty water. Turn lobsters halfway if the pot isn’t big enough for one layer of lobster. 3. Mussels may be open when you get them–this is normal, but you have to try to get them to close. To do this, rinse them in cold water. If that doesn’t make them close, tap them against each other under cold water. Whatever ones don’t close after that–toss. 4. Clams-if they are not steamers, need to be closed, unless they are steamers and in that case it is safe if they are open. 5. Steamers are full of sand. To try to get them to release the sand, you can soak them in water and vinegar for about a half hour. 6. Mussels and clams are steamed for about 6-8 minutes. 7. My dad only likes “plain” steamed seafood when it is fresh. My mom and I steamed the mussels in wine like the cookbook suggested, but he was not a fan. I thought it was great! 8. Use Kate’s Homemade Butter for dipping. 9. Although my dad (and everyone else) loves them, I’m still not a fan of clams, but I always give them a try. 10. Eating fresh seafood is a lot of work–but totally worth it!